Commissioner Joe Brown Jr. became the 60th person elected as a County Commissioner of Butts County in 2014 and took office in 2015. He ran unopposed for reelection in 2018 and began his second term in January of 2019. He represents District 3 which covers southwestern Butts County including Towaliga, McKibben and part of the City of Jackson. He is a businessman in Jackson and works as the President of American Mills. He and his wife are members of the Towaliga Baptist Church. 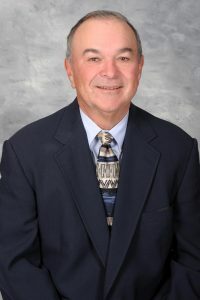 Commissioner Brown has previously served multiple terms of elected office on the Butts County Board of Education and also served as an appointed member of the Development Authority for a number of years. He is a Certified County Commissioner through the University of Georgia and ACCG and has a passion for golf.